Composed by David N. Baker and David Baker. 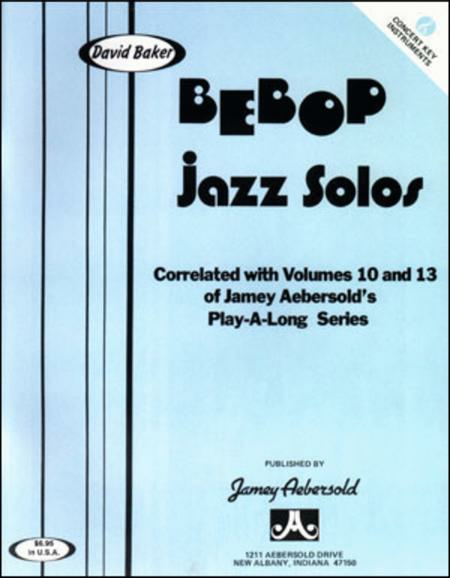 Solos correlated to Volume 10 and 13 of the Aebersold Series. Book. Published by Jamey Aebersold Jazz (JA.BS-C). Correlated with the recordings to Volume 10 & 13. 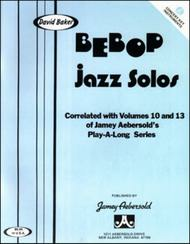 Excellent for sight-reading and in-depth study of bebop licks and phrases. Solos do not have to be played with recordings. Use just as you would any solo book!